For J Gonzales, it's more than a job. 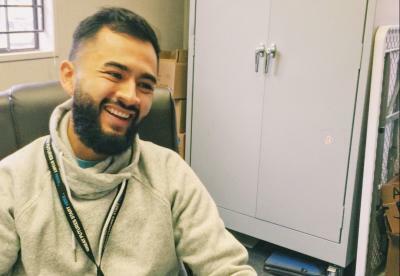 As the director of the Boys & Girls Clubs, Mar Vista Gardens Branch, J makes it his mission to take young minds and fill their world with opportunity. Inside each of the 601 units that make up the public housing development comes a story. It's story of language barriers or odd hours at multiple jobs. Maybe parents are out of the picture; perhaps a grandparent has stepped in. Every day, J works to help each family write the second half of their own story. "I saw it when I was 6, and I see it now," J said, reflecting on his own story. "I grew up in a similar neighborhood. I know what those hurdles look like." Before he was a branch director, he was first a club member, a teammate. It was on the field, many years ago, that a young J was introduced to the network of the Boys & Girls Clubs through a youth soccer league. And on that field he met he met Coach Juan. "He was always on time for practice, and we were expected to try our best for the full hour," said Juan, reflecting on lessons unknowingly learned. Years later, J is now a coach, and he catches himself repeating the same expressions Juan used to. Dang! I sound just like Juan, he thinks to himself. But at the end of the day, that's the goal. 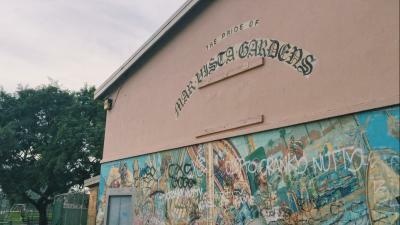 "What our team tries to do here at Mar Vista Gardens is be those caring adults that the youth will think about 20 years down the line," he said. But they can't do it alone. He also sees it as their responsibility to serve as a conduit to a breadth of opportunities that help bridge the opportunity gap. Celebrating individual birthdays, for example, is something that has in the past been outside of the realm of possiblities. But not anymore. CommuniGift partnered with the Boys & Girls Clubs of Santa Monica to help connect birthday hosts with an opportunity to make sure birthday buddies in the Mar Vista Gardens community felt incredibly special on their birthdays. Every gift—every book, blanket and backpack—comes as a surprise to the child. For one boy (age 9), a new soccer ball means hours of fun with his brother on the soccer field in the center of the development. The day after we sat down with J, the branch celebrated three years of serving the Mar Vista Gardens community. While J said they've seen incredible improvements in youth development already, so much is still in store. A $1.5 million dollar renovation project is bringing even more enthusiasm to the team and the programs they are able to offer. An all new learning center and art center will open April 29, 2016, and J couldn't be more excited for what this means for the community. “Nonprofits in my life have done a lot for me," J said. "It comes full circle." Thanks, J and the Mar Vista Gardens team, for the incredible work that you all are doing. We couldn't be more excited for the days to come!